Did you know that in the month of August we celebrate National Lemon Meringue Pie Day, National Lemonade Day and National Lemon Juice Day? For lemon fans like me this is the month to have fun in the kitchen and make some great recipes! 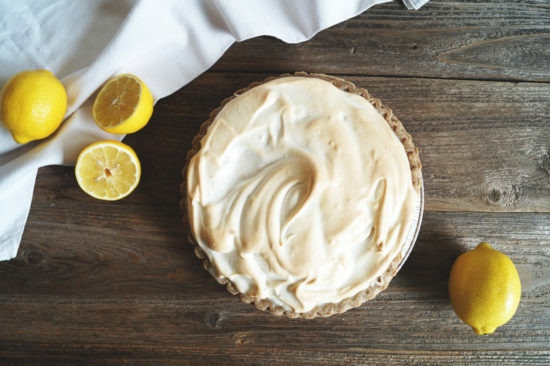 Today I’m so excited to share with you a quick and healthy recipe for Lemon Meringue Pie, a delicious Cucumber Mint Lemonade and 3 easy ways to incorporate more lemon juice into your daily routine! At Healthy Grocery Girl our mission to inspire people to eat more real food, mostly plants and we understand that nutrition is not one-size-fits all! These recipes are made with organic & mostly plant-based ingredients, however they are not 100% vegan. Please adjust the recipes to fit your personal dietary needs & preferences! To make this recipe you will need organic sugar, cornstarch, coconut milk, sea salt, lemon juice, lemon zest, eggs, and a pie crust, store bought or home-made. First, pre-heat your oven to 350 degrees Fahrenheit. Then, in a large saucepan, with the burner OFF add 1 cup organic sugar with the cornstarch & sea salt and whisk until well mixed. Turn the burner to low and gradually stir in the coconut milk. Turn the heat to medium and stir constantly, until the mixture begins to boil. Simmer for one minute, stirring constantly. Then turn off the heat. Separate the egg yolks & whites into two bowls, and set the egg whites aside for later. Beat the yolks with a small whisk, add 1/4 cup of the hot sugar mixture into the egg yolks and mix until combined. Gradually stir the yolks into the remaining hot sugar mixture. Turn the heat to low and simmer for one minute, stirring constantly. Turn off the burner and stir in lemon juice and zest. Cool slightly, about 15 minutes and then pour into a pre-baked pie crust. In a glass or metal mixing bowl, beat egg whites on medium speed for about 1 minute, until foamy. Then turn up to high speed and gradually add in sugar until stiff glossy peaks form. Spoon meringue over the pie and spread to the edge of the crust. Bake at 350°F 12 to 15 minutes or until meringue is light golden brown. Cool on the counter for 1 hour. Then, refrigerate 3 hours for the filling to set completely. I love lemonade! My lemonade follows a traditional recipe with fresh lemon juice & organic cane sugar. 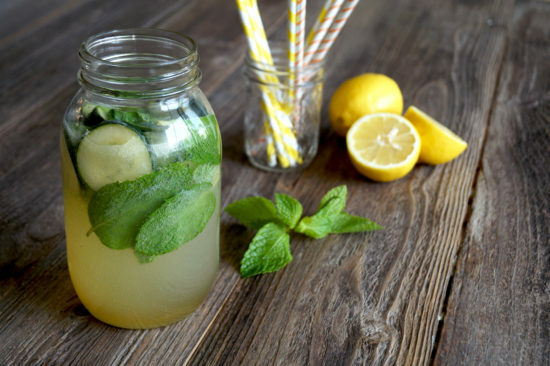 We made this lemonade even more exciting by adding fresh mint & cucumber! To note, you could easily use less sugar if you prefer or try stevia, a natural low-calorie sweetener as an alternative. Try these fun tips for adding more lemon juice to your day! Add ½ a lemon, juiced to a glass of chilled or hot water and enjoy first thing in the AM! Freeze lemon juice in ice-cube trays with other fun fruits such as blueberries for a nutritious way to chill your summer beverages! Thank you so much for joining me today! For more information from today’s video visit Limoneira.com. Have a great day and I will see you in the next video!